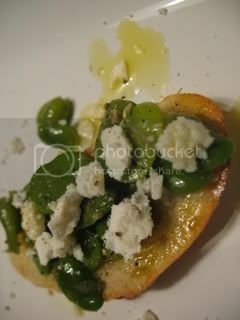 Cooking fava beans is a somewhat tedious process, but it's worth it. 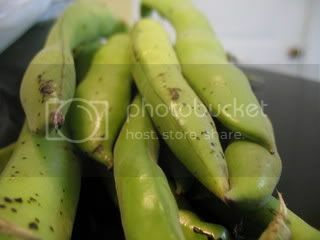 There are about 3 or 4 beans per pod. First, you have to get the beans out of the pods. It's easiest by snapping the end off and and splitting the pod down the seam. If that doesn't work, just squeeze the beans from the pods. 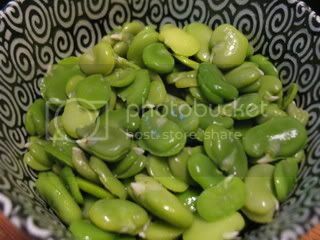 Once you have extracted all the beans, you have to boil them for 2-3 minutes. 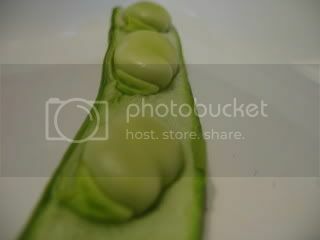 Then, plunge them into a bowl of ice water. 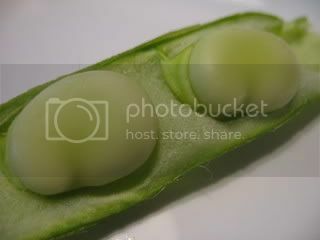 Now, you have to pop the bean out of its waxy skin by gently squeezing it between your thumb and forefinger. 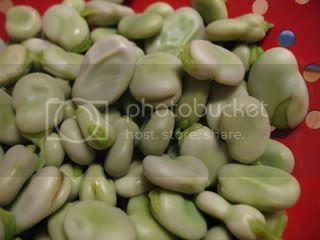 Fava beans ready to eat! 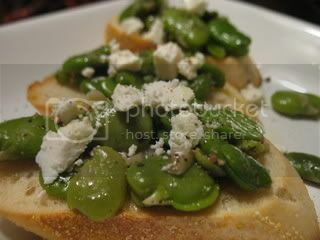 Fava bean crostini makes a wonderfully light spring dinner to enjoy with a glass of dry red wine. Looks awesome. 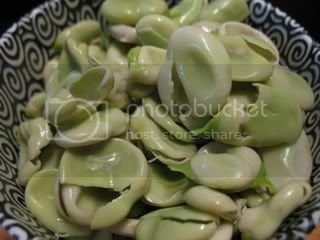 Fava beans are fun and a good stress reliever.